(CNN) - Iranian missiles that targeted eastern Syria early Monday came within three miles of US troops in the country, a US defense official told CNN. Iran launched six ballistic missiles into the Al Bukamal district in Syria. State media citing Iran's Revolutionary Guard Corps (IRGC) said the attack targeted militants allegedly involved in the September 22 attack on a military parade in the southwestern city of Ahvaz. US satellite surveillance last week had shown mobile missile launchers were moving into positions in Iran where missiles were fired from, the official said. The US is closely watching those launchers and any potential movement, the official added. Six ballistic missiles were launched from Kermanshah, Iran, and hit targets in the Al Bukamal district of eastern Syria, the official Islamic Republic News Agency (IRNA) reported, citing a statement from the Islamic Revolutionary Guard Corps (IRGC). 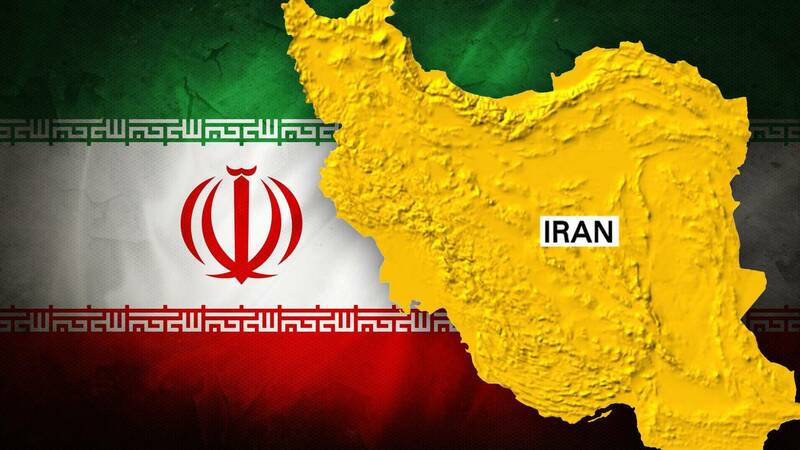 The missiles were launched in Kemansheh, Iran -- seven military drones also fired missiles into the area, according to a report in the official Islamic Republic News Agency (IRNA) citing an IRGC statement. The missiles had "death to America," "death to Israel" and "death to the house of Saud" written on them, according to Fars News, which also released video showing the launching of the missiles. Iran has blamed the Ahvaz attack, which killed 29 people and wounded 70 others, on the United States and its regional ally, Saudi Arabia. It accused both countries of supporting "foreign mercenaries" behind the attack. The strikes hit the headquarters of "takfiri terrorists," or Sunni extremists, according to the IRGC statement. The semi-official Fars News cited an unnamed Iranian commander vowing further attacks as "revenge for the people of Ahvaz." The Al Bukamal district, which lies east of the Euphrates river, is one of ISIS' last remaining positions. US troops and US-backed Kurdish forces have been battling the group in the region. Col. Sean Ryan, the spokesperson for the US-led coalition against ISIS, confirmed the strike but said no coalition forces "were in danger." The Iranian missile attack comes days after a US intelligence assessment report concluded that Iran could be planning a strike against US military forces and interests in Syria and other positions in the region. "Iranian forces did conduct no notice strikes last night and we see open source reports stating that they were targeting militants it blamed for the recent attack on an Iranian military parade in the Middle Euphrates River Valley," said Ryan in a statement. "At this time, the Coalition is still assessing if any damage occurred and no Coalition forces were in danger." "The government is ready to counter any action by the US, and the Americans will regret this," said Iranian President Hassan Rouhani in a statement on his official website in the aftermath of the Ahvaz attack. Both Saudi Arabia and the US have denied the allegations. US Ambassador to the United Nations Nikki Haley dismissed the threats as "rhetoric." "He can blame us all he wants; the thing he's got to do is look in the mirror," Haley told CNN's State of the Union. Multiple individuals were killed or injured in Monday's strike, IRNA reported without specifics.